Why would you ever make an Air Fryer Burger when you could grill? I asked myself this exact question. After tasting an Air Fried Burger my whole perspective has been changed. When air frying your hamburgers you want to make sure you have your crisper in the bottom. Not sure if you have a crisper? It’s the piece that sits in the bottom of your air fryer to keep the food just barely off the bottom. If you don’t have a crisper you may need to flip your burgers halfway through. I never have and they’ve always turned out perfect – Less hassle is always a win at my house. It’s so easy. No tending, no flipping, you just drop the patties onto the crisper, add your favorite seasoning, set the time and you’re done. Air fried burgers are SO JUICY! If you don’t cook burgers perfectly on your grill they can dry out or potentially get charred. I was shocked at the juiciness and flavor of the air fryer burger. If you don’t like to see the pink in the middle of your burger, then air fried burgers are for you!!! They will be juicy and cooked evenly. I’ve gotta be honest, the no pink is what really sold me. 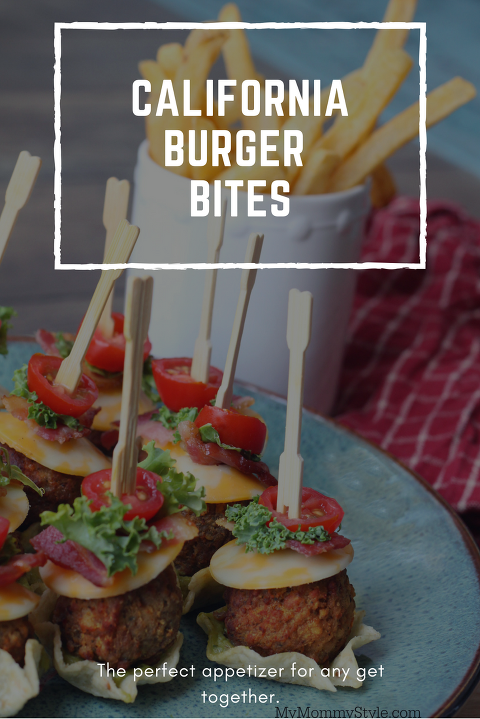 Hand-molded burgers don’t fall apart in the air fryer. When using my grill I always have to buy the pre-molded burgers. Maybe it’s just me, but every time I’ve tried to mold that perfect cylinder and thrown it on the grill it turns into a crumbled mess. If it’s cold outside it’s so hard to control the temperature of your grill. Stay inside and enjoy your burger in the comfort of your home. Lay four quarter pound patties on top of the crisper in the bottom of your air fryer. I prefer 85/15 fat content in my burger. Coat liberally with seasoned salt or your favorite burger seasoning. Set air fryer to 350 degrees and cook for 15 minutes. This may change depending on the thickness of your patty. Check the burgers at 10 minutes. Some people flip their burgers halfway through. I’ve never done that and they cook both sides evenly on the crisper. 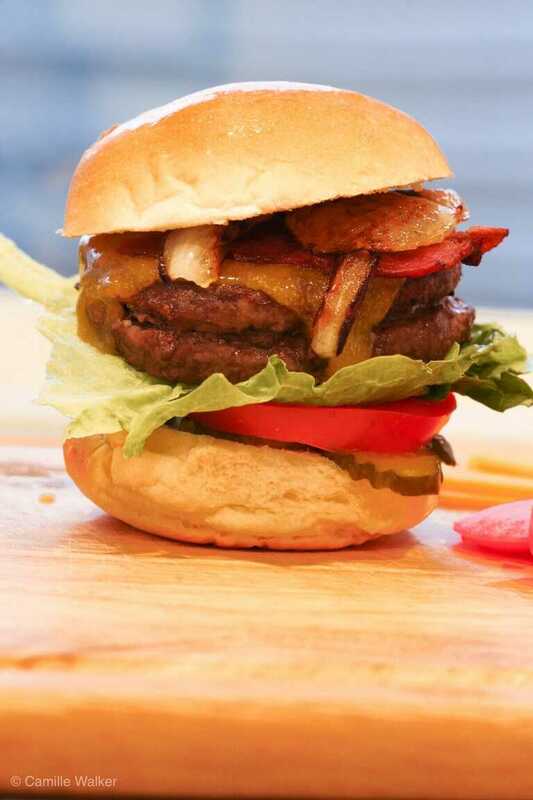 Dress the burger to your own liking (For me that’s lettuce, tomato, grilled onion, cheese, bacon, BBQ sauce, and mayonnaise – maybe some jalapenos if I’m feeling crazy) — And ENJOY!